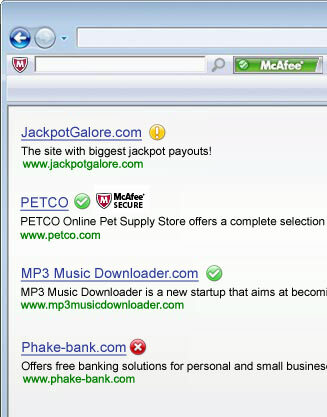 Download McAfee SiteAdvisor for Mac, which is a free plug-in for your browser that informs you about the security of the site you are planning to visit so that you do not risk clicking on a dangerous page. SiteAdvisor gives you more secure search, more secure navigation, more secure shopping, secure search boxes, risky webpage blocking, phishing protection, and automated updates. 1) Mac installer - Faster installations specifically designed for Mac users. 2) Automatic Upgrades - Now it's over with annoying "add-ons updates" for the browser. 3) Safe Search - Settings are easier to configure so you can click securely. 4) Search Engines - Several sites where you can use SiteAdvisor software.